Australian pioneer and politician; born in London 1824; died in Sydney, New South Wales, Sept. 25, 1898. At the age of eighteen he emigrated to New Zealand, and there acquired so thorough a knowledge of the native language that he acted as interpreter to Sir George Grey when the latter undertook his expedition to pacify the Maoris. 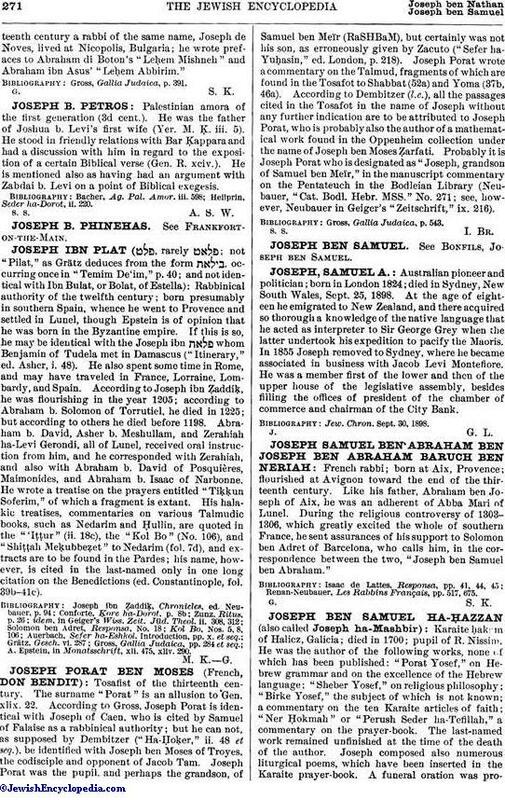 In 1855 Joseph removed to Sydney, where he became associated in business with Jacob Levi Montefiore. He was a member first of the lower and then of the upper house of the legislative assembly, besides filling the offices of president of the chamber of commerce and chairman of the City Bank. Jew. Chron. Sept. 30, 1898.